When two cultures harmoniously meet and unite, it releases a powerful magic that brings out emotion from all those who attend the event. This is what happened with our Japanese artists friends who came to Damanhur and gave us a taste of what they will perform at the Tokyo Olympics in 2020. 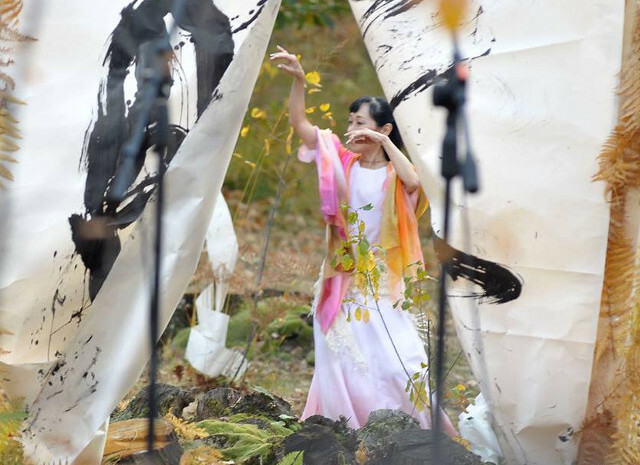 In the magical settings of the Open Temple and the Sacred Woods Temple, the gestures of the ancient art of Japanese calligraphy were combined with dance, pop art and polyphonic harmonies in Japanese and Damanhurian Sacred Language. 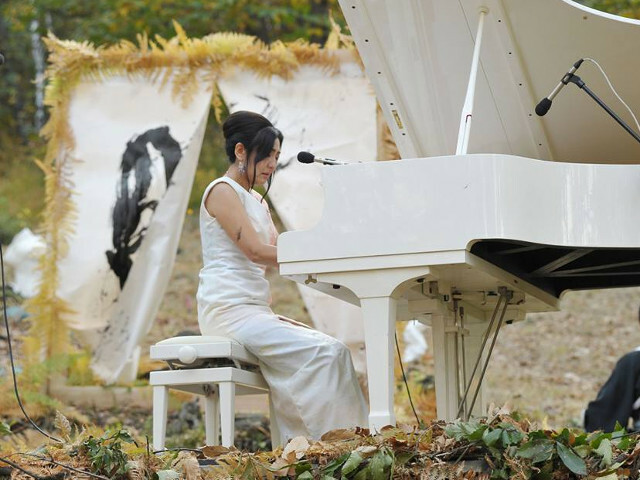 In the Open Temple amphitheater, there was the declamation of an ancient Japanese poem that touched everyone present with the intensity and richness of the recitation, while in the Sacred Wood Temple, nature was the protagonist of this beautiful performance, along with the artists. Thanks to Diamantel, the oak tree-being who welcomed the event in its aura, offering a deep sense of peace and welcoming to all those present. Thanks to Chyio Baba, musician and composer, Takahiro Tokuyama, calligraphy master, Nagako Mizuno, dancer and choreographer, Masao Hatayama, pop artist, and Emiko Ogino, narrator of ancient myths. Thanks to the polyphonic group Magjical for their songs. And finally, thanks to all the Damanhurians who have collaborated behind the scenes to make this event possible!